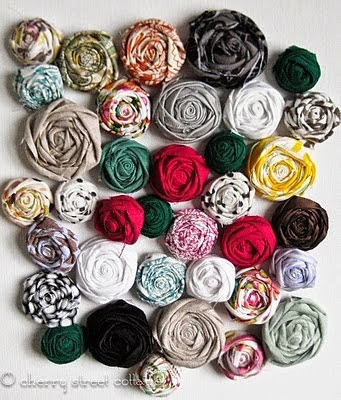 Fabric flowers are fun craft projects to do. They are beautiful embellishments for wreaths, headbands, hair accessories, jewelry, corsages, and many more. 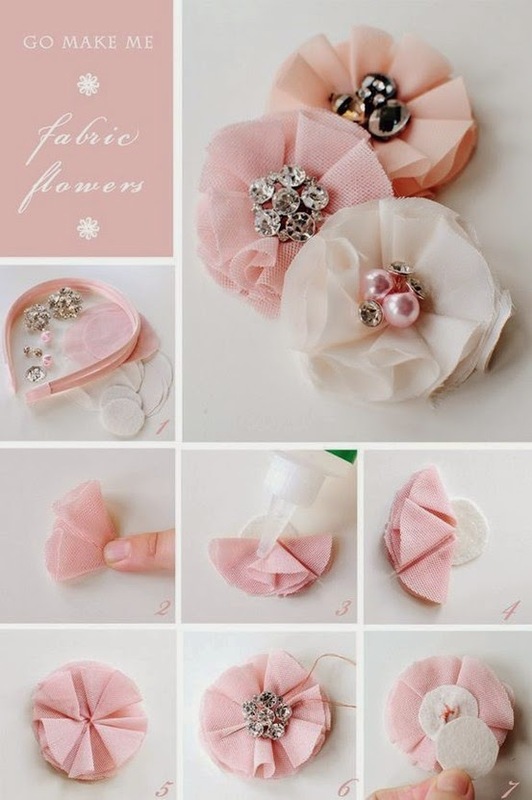 Make the flowers bloom all year round by making these simple and easy fabric flowers featured below. These rosettes from cherrystreetcottage.blogspot.com are just fabulous. A single piece may seem complicated to do but when you get to watch the Fabric Flower Tutorial from the website, you will get amazed at how easy it is to do. 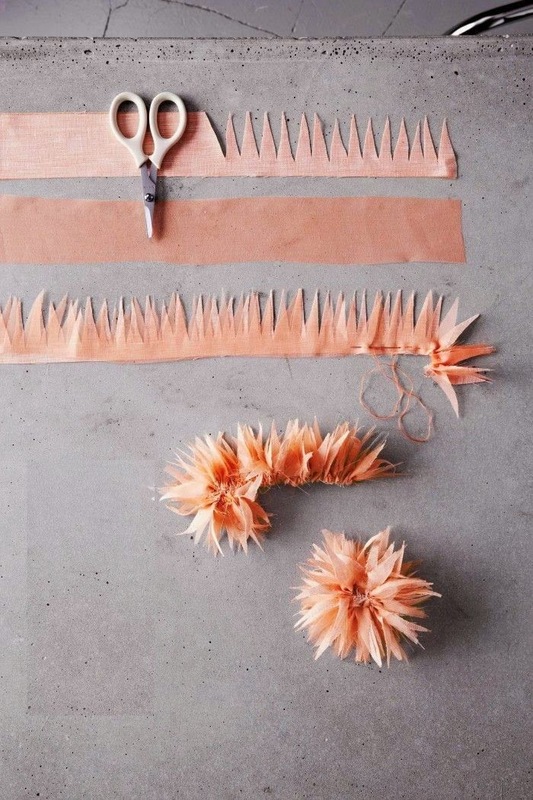 You only need a glue gun and strips of fabric. These dainty chiffon flowers from gomakeme.com are great for making vintage headbands. A gray, black, and white version of this would look elegant. The photo shows an easy step-by-step guide but you can check out the full post on Bejewelled Flower Headband Tutorial. Here's another no-sew fabric flower craft from littlemissmomma.com. The fabric flowers are made into a bib necklace and the project turned out lovely. Check out the Pom Pom Bib Necklace Tutorial and make one for yourself. If you have an overflowing stash of leftover fabric, you can make this adorable fabric flower from scatteredthoughtsofacraftymom.com and use it as an embellishment to your other craft projects. Cut strips of fabric (length is equal to the diameter of the flower), create a crisscross pattern, secure the middle with a few stitches, then add a button. 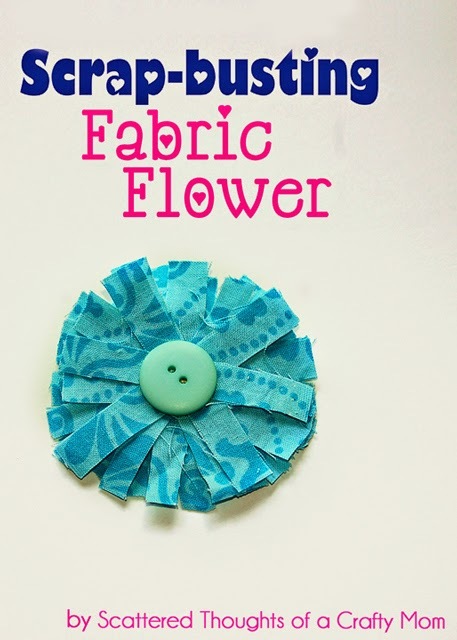 Here's the tutorial: Scrap-busting Fabric Flower. We love this Pansy and Dahlia Fabric Flower Tutorial from flaxandtwine.com. It needs a bit of stitching and cutting. This frilly flower would make a great accent to a headband or a ponytail. If you need assorted fabrics for your fabric flowers, you can check out the Weekly Fabric Deals by FabricLovers.com to get discounts.